Cultural institutions along with other organizations often must be the first line of defence themselves when it comes to fire fighting. This need may arise either if an event is held where many people are gather in the same place, or if cultural and historical artefacts are stored in a facility where the fire extinguishing has to start immediately when the fire is detected and before the fire brigade is able to show up. Many people are gathered at events such as music festivals, sports events or other types of gatherings being with cultural, political, religious or other purposes. Music festivals that run over several days have the added complication that camping facilities often are organized just adjacent to the venue of the festival. Camp fires and cooking facilities are sometimes started and with a lack of attention, a fire can easily erupt. Museums and their storage facilities, historical buildings and other structures of national significance are often made before fire prevention became part of the requirements when designing a building. These are therefore more fire prone that other constructions. Due to the cultural and sometimes also financial values at risk, the safety situation should be taken very seriously. Choosing the right type of fire fighting equipment depends on the physical layout of the facility. If the fire fighting equipment has to cover a large area, a motorised vehicle would normally be the best option, if the characteristic of the area is so that a vehicle can move around. This could either be a car e.g. an estate car/station wagon or a pickup, or alternatively an all-terrain vehicle. A car can be equipped with either a tank unit with a pump driven unit or a stand-alone pump driven unit if a separate water tank is used. A mobile unit can also be installed in a vehicle, although it with less water has less fire fighting capability. In some cases it is not possible to get to the fire scene with a fire fighting vehicle. In these situations the fire fighter has to carry the fire fighting equipment. The Firexpress fire fighting backpack is the best ergonomically solution, and leaves the hands of the fire fighter free for other tasks. 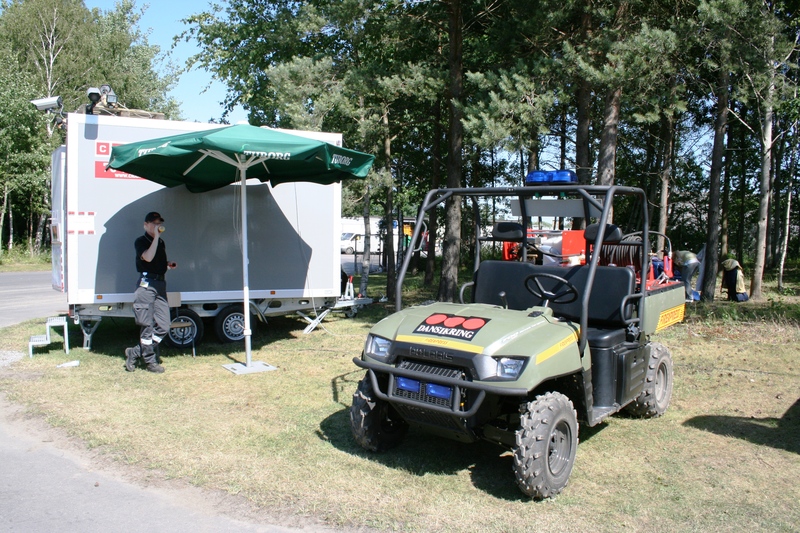 A Polaris XP Ranger 900 ATV with a 300 litre water tank and a pump driven unit operated by a safety and security company at the Roskilde Music Festival in Denmark. 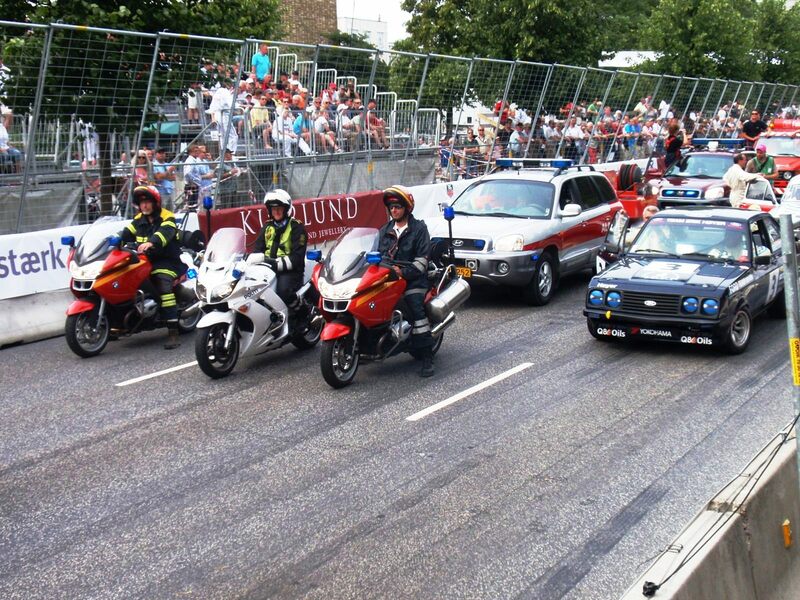 Two fire fighting motorcycles at Copenhagen Historic Grand Prix, a street car race with old race cars held annually in Copenhagen, Denmark.